mso-fareast-font-family:"Times New Roman";color:black">Former and outgoing Illinois leaders offer suggestions for the man going to the mansion. 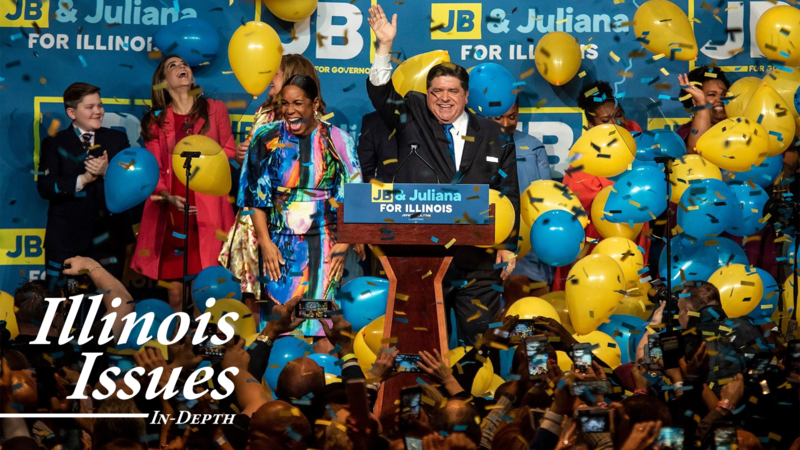 mso-fareast-font-family:"Times New Roman";color:black">With J.B. Pritzker on his way to the Illinois governor’s mansion, he can now begin mapping out the direction the state will take in the next several years. 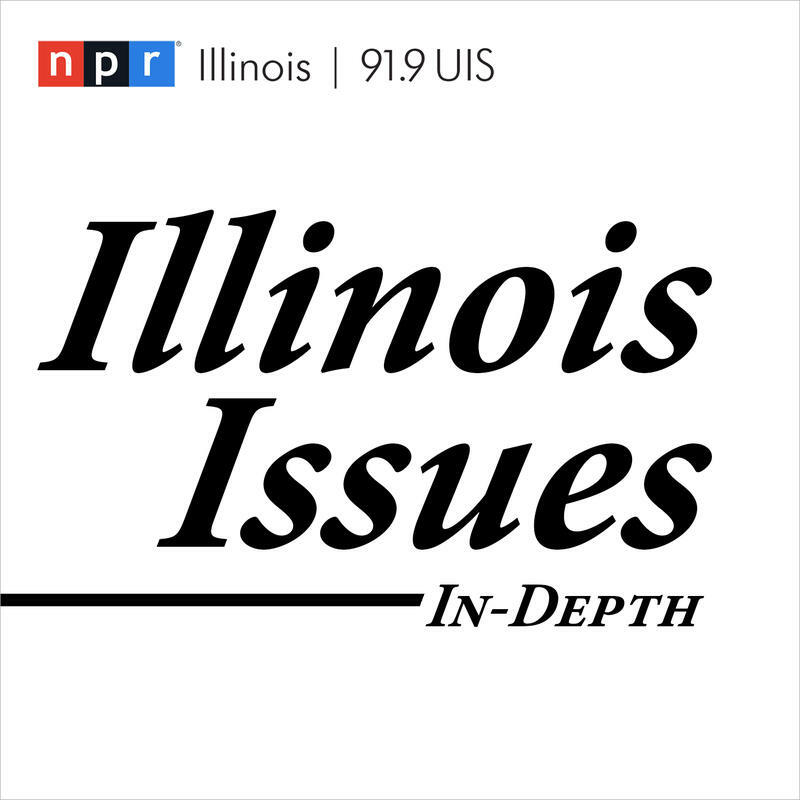 For some advice on what that direction should be, and how to get there, NPR Illinois’ Maureen McKinney and Sam Dunklau caught up with a few former governors and legislative leaders to hear what advice they had. mso-fareast-font-family:"Times New Roman";color:black">“You get there, you look at the books and you face the realities, you’ve got to compromise. You never get 100 percent of what you want. You know, you’ve got to give a little bit to get some things,” he says. When we asked him what he’d do if he were in Pritzker’s shoes, Edgar gave this advice: surround yourself with good people. One of the things the governor has to work at every day is the annual state budget. 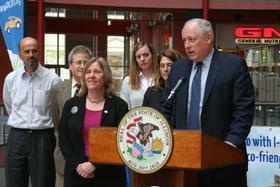 We asked Quinn if he thought the chief executive would contribute to another years-long impasse. “Well, I passed six budgets when I was governor. It’s never easy; you’ve go to always listen to every side, but ultimately you’ve got to get the job done,” he says. One job Quinn says the governor could try to get done in the next four years —besides the budget — is one the legislature tried to address last year. 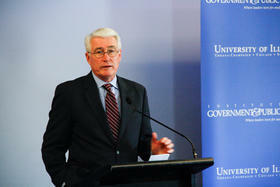 “Governors are not emperors. They can't just decree. They can't wave a magic wand and it is so! The job of governing is really a compromise, a collaborative, a willingness to come together in some kind of middle,” she says. mso-fareast-font-family:"Times New Roman";color:black">Coming to a kind of middle, Currie says, will be particularly important if the governor tries to tackle transportation issues. People all over the state say it’s an area that desperately needs fixing. “It's going to be something of a balancing act. There are many different kinds of things that fall under the rubric infrastructure, and the tough question will be how you decide to divide up the resources that, however you bring them in, you bring them in to do the job,” she says. When we asked her where education should be in the governor’s list of priorities, Currie pointed to the new education funding formula legislators passed last year. 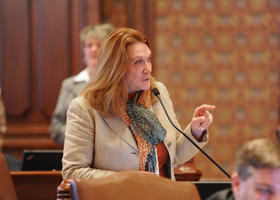 Meanwhile, in the state Senate, Pamela Althoff was a key player in the Illinois GOP for sixteen years. This year marked her last session as a state senator. But before she retired, she saw governors of both parties go to jail and another two serve wildly different terms. A common thread? “Honor and respect the process, as well as honor and respect those people who make up the process,” she says. mso-fareast-font-family:"Times New Roman";color:black">Diversity, Althoff says, is something the chief executive should keep in mind over the next four years. 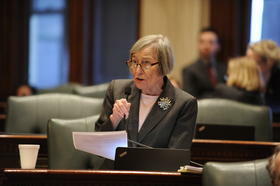 “Many governors of both parties lost sight of the fact that Illinois is an extremely diverse state, and it's very important for us to continue to carry on dialogues; to learn what we do have in common and what our concerns are,” she says. No matter what comes across the governor’s desk in this next term, Althoff is in lockstep with her other colleagues: she says crossing lines will do a lot more than drawing lines.